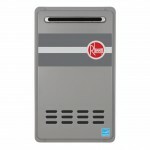 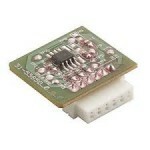 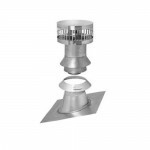 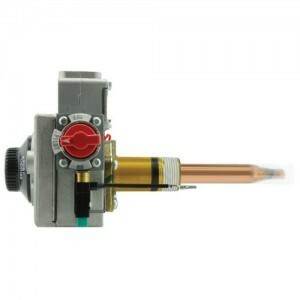 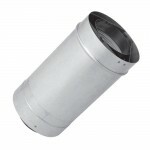 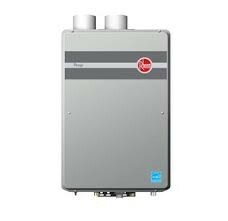 Rheem® is a well-known name in the world of heating and cooling products. 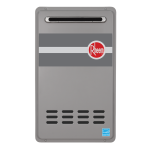 Westside Wholesale is proud to carry dozens of Rheem products, including tankless heating units, tankless vent kits and installation supplies, remote thermostats, and more. 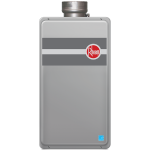 Rheem tankless heaters range from small units designed for a single sink to larger heaters capable of providing hot water for two to three bathrooms. 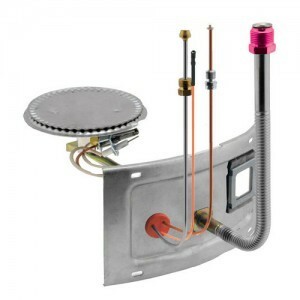 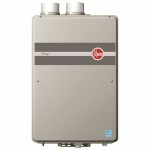 The Rheem plumbing line of tankless heaters offers options for installation indoors or outdoors, as well as for natural gas, liquid propane, and electricity. 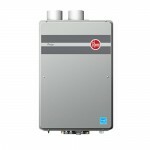 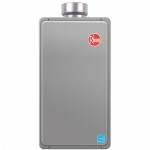 With many available components for Rheem's tankless water heaters, contractors have the freedom to install the heating systems in a variety of locations, perfect for new construction or for improvised spaces (including areas where the tankless heating unit will replace an older water tank). 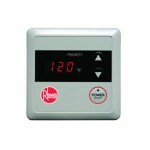 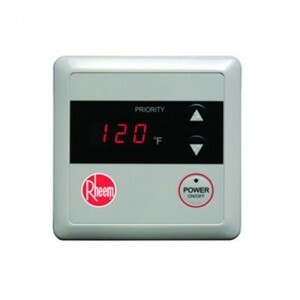 Rheem also offers many new and exciting products that allow digital automation to increase the efficiency and accurate usage of heaters, such as the Rheem Digital Remote Control Thermostat. Rheem offers a limited warranty for most of its products—check the individual product for more detail.